The Chianti Classico consortium is this year celebrating 300 years of Chianti Classico wine having organized a set of events in the month of September. It was on a cold and rainy night in…joking! It was on September 24th in 1716, that the Grand Duke Cosimo III of Medici gave the announcement that he had decided to mark out the best area for the production of high-quality wine in Tuscany. With this announcement the area between Florence and Siena was defined as to be protected for the production of what much later was to become Chianti Classico wines. During the 18th century, most of the wine in the Chianti area was produced with only Sangiovese grapes, while it in the 19th century became more common to use other grape varieties such as Canaiolo and Malvasia and mix them with Sangiovese. This was the idea of Barone Ricasoli and referred to as the Governo Toscano, which I already discussed in the article A History of the Sangiovese grape. In 1924, the Consortium for the protection of Chianti wine and its trademark was founded. Shortly after, in 1932, the Italian government issued a ministerial decree to differentiate the Chianti made in the zone of origin, adding to it the suffix “Classico”. Since then Chianti is the wine produced outside the geographical area called “Chianti”, while Chianti Classico is the wine produced within the original (historical) “Chianti” zone. Gran Selezione…what’s it all about? In February 2014, the new Chianti Classico pyramid with the new top tier of Gran Selezione was launched with a presentation in grand style in the Salone dei Cinquecento in Palazzo Vecchio. So what defines this new Chianti Classico pyramid. Well, there are now three tiers in the Chianti Classico denomination, namely Annata, Riserva, and Gran Selezione. The Annata can be released on the market on October 1st following the year of the harvest, while the Riserva needs to age at least 24 months of which at least 3 months in the bottle. The Gran Selezione shall be produced with grapes from a single vineyard or with a selection of the best grapes from vineyards owned by the wine producer in question. This means that it is enough that different properties are under the same ownership even if they are in different subzones of the Chianti Classico district. It needs to be aged at least 30 months of which 3 months or more in the bottle. The Gran Selezione is supposed to reflect 10% of the total production of Chianti Classico wines and add quality to the general Chianti Classico production. However, when this new three-tier system was introduced two years ago it did raise a lot of questions and criticism. It has been said to be a new marketing tool, in order to in a more transparent way delineate the difference between Chianti and Chianti Classico wines. Another critical point that was brought forward was that the selection of which wines are going to enter the Gran Selezione top tier of the year is made by a board appointed by the Consorzio themselves. Thus, it is not an independent body such as Valoritalia doing the job, as is the case with the analysis of the rest of the wines according to EU regulations. It is said to, therefore, be a rather subjective selection process. The new system was supposed to be positive for the smaller producers, but, in the end, it has become the complete opposite because many of the selected Gran Selezione wines come from the larger producers. There, the grapes selected have often nothing to do with a single vineyard but, as mentioned above, is more a generic blend from property vineyards in different Chianti Classico areas. It has been argued that an emphasis on subzones would be advantageous for the smaller producers. So far producers in some subzones have entered into so-called sub-associations, such as Associazione Viticoltori Montefioralle, in order to better make their voice heard within the consortium. 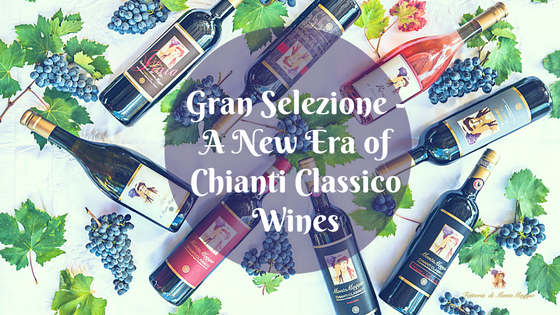 The new three-tier system of the Chianti Classico consortium was brought about to enhance the overall quality and provide a top tier of the highest quality, namely Gran Selezione. The original ideas were beneficial for the consortium, though it then, as explained above, has been argued that the selection process of the yearly Gran Selezione wines is too subjective and giving rise to conflicts of interest. This new denomination system has only been in vigor for two years, so we still need to see what the results will be. Let’s hope that it in the future can become less conflictual and more beneficial for the consortium as a whole. So far Fattoria di Montemaggio does not produce any Gran Selezione wine but is rather focusing on the Chianti Classico Riserva. To read more about the wines, click here.